Google announced through the official Webmaster Central blog that they have updated Webmaster Tools to offer more detailed search queries. 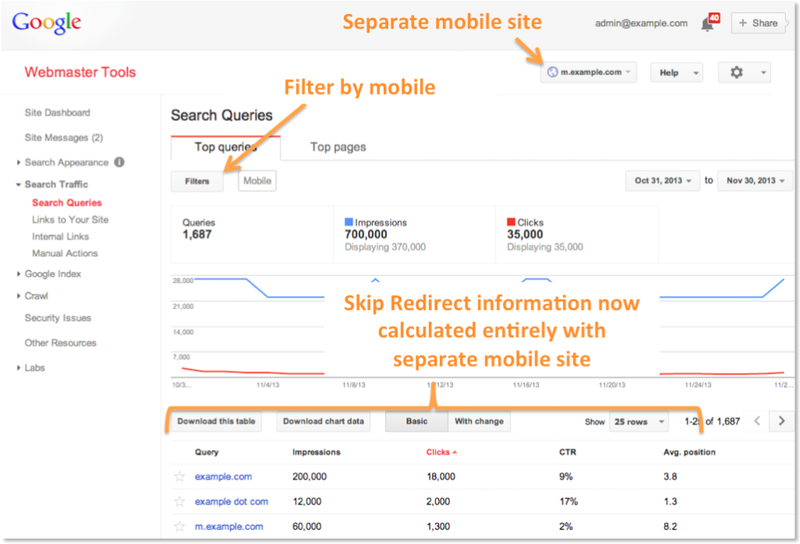 The two updates, which were both announced yesterday, aim to “make metrics for your site more actionable” and to make search queries “more cohesive for those who manage a mobile site on a separate URL from desktop.” I’d like to briefly go over the changes below. With this update, you will no longer see the rounded numbers; instead, you will get exact figures. According to John Mueller, this will help you analyze your target audience’s online search and browsing behavior more accurately. Before the update, Skip Redirect information was included in the desktop URL report. Separating it from desktop reports and consolidating the rest of m. website information will help you understand user behavior on mobile better, allowing you to create a more cohesive integrated marketing approach for multiple screens. If you need any further assistance with these new features, contact your account manager today. We’d be glad to help make the most out of this updated data for your campaigns. Sign up today and become our partner to get your own white label dashboard and to view our full scale of online marketing solutions. Keep checking back for more updates!